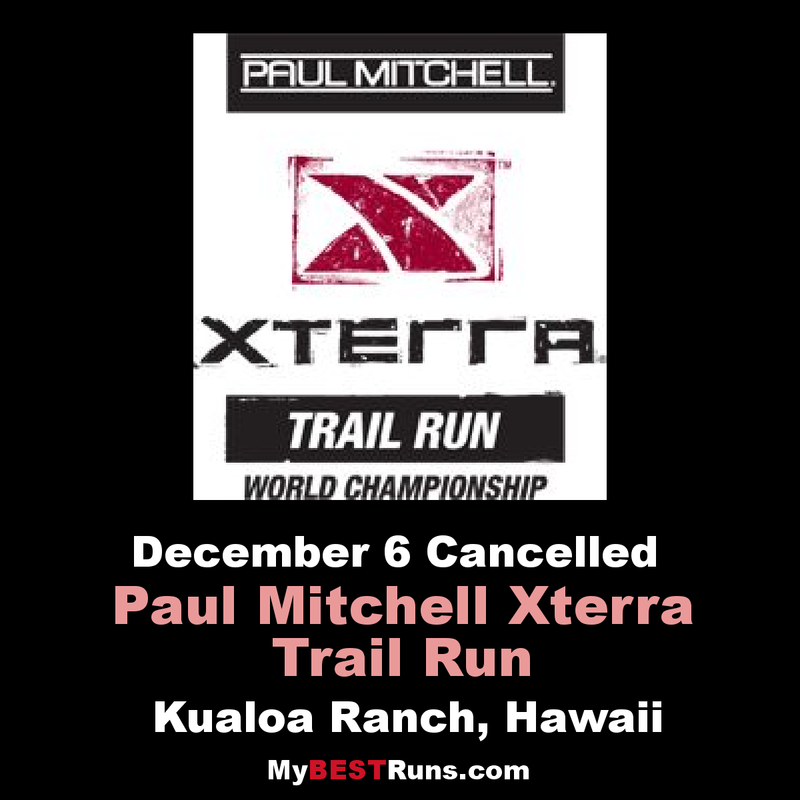 The start for all three distances is at the Kaaawa Valley base camp. Runners leave on a hard packed dirt road and within ¼ mile face their first task – a long, undulating ¾ mile climb. At the one-mile mark 5K runners will head down a pasture and back towards the ocean and the finish line (see turquois line on map). World Champ 21K and 10K runners will continue on the upper road until heading steeply downhill, some on road, some on grass to the fantastic remains of the “lost city of Atlantis” (from the movie Journey 2: The Mysterious Island, starring Dwayne “the Rock” Johnson). A hard right after the Atlantis Temple and runners head into a dark, dry creek crossing before heading back on some sweet single track on the ridgeline. Interesting note: this section of single track was created years ago for the legendary Hawaiian Mountain Tour bike races. It’s high pasture that dips into volcanic gulches to rise again into the sun. You’ll do this several times before the 10K heads to the finish. For the 21K world champ runners, the fun has just begun. Back on dirt roads and past a cave from the movie Pearl Harbor it is time to catch a bit of breath as you move from one valley to another. After aid station three, runners will head into construction for the new Kualoa Tropical Gardens and onto some up-and-down single/double track. Here runners venture deep into forest, and out on the edges with spectacular ocean overlooks and finally a dip into a dark, tropical rain forest with three stream crossings. If it looks familiar, think about scenes from the recent movie “Battleship”. Now runners might be thinking this isn’t so bad … until the terrain starts to climb. Easy at first and then brutally steep, and totally exposed to the sun. Just as you think it has leveled, the lie comes true and it is up again. At last a feed station that appears to be a dead end. But we are taking you up narrow single track – by narrow we mean a foot at most – to the spine that separates Hakipu’u and Kaaawa valleys. You’ll wish you could stop as you can see a thousand miles of blue Pacific no matter which way you turn. Then the single track plunges steep downhill where nobody goes except on this day. Muddy, rutty, steep drop offs, slimy and slippery. We’ve put ropes to help you stay upright and I guarantee you will use them. The good news? It is only ¼ mile. 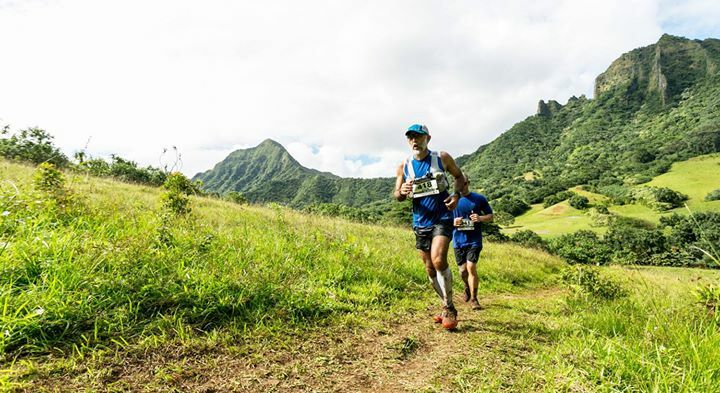 At the bottom you’ll find the terrain familiar as you return to the back of Kaaawa Valley and run that gorgeous, fast and soft singletrack to the finish.